Dubai is home to some of the world’s best golf courses and each year, stages major international golf tournaments that draw thousands of visitors from all over the world. From the DP World Tour Championship, part of the European Tour and the climax of the European Tour Race to Dubai, contested at Jumeirah Golf Estates, to the Omega Dubai Desert Classic, played at Emirates Golf Club, the city’s most established course, these events have helped established Dubai as a leading golf destination. The Omega Dubai Desert Classic, which has been a fixture on The European Tour International Schedule since 1989, welcomes the game’s biggest stars each year to the fairways at The Majilis Course. Today, they compete for a share of prizemoney valued at $2.65 million. Dubai Tourism has ambitions to boost the number of golf-related tourists it attracts each year, part of its over-arching strategy to attract 20 million overnight tourists annually by 2020. Earlier this month, the tourism authority launched a new website dedicated to promoting Dubai as a top destination for golfing enthusiasts. Making its debut at the Asia Golf Tourism Convention (AGTC) in Danang, Vietnam, golfindubai.com provides information on the city’s courses, some of which have been designed by the likes of Ernie Els, Sir Nick Faldo, Colin Montgomerie and Greg Norman, as well as details on leisure and practice facilities and wider hospitality offers. A video of Masters and Omega Dubai Desert Classic champion Sergio Garcia facing India’s Anirban Lahiri in a battle of the big hitters — filmed at Skydive Dubai with the backdrop of the city’s iconic skyline — also features. golfindubai.com was launched by Falcon Golf, an entity established in February that aims to optimise the benefits golf brings to Dubai. It is working closely with key local stakeholders such as golf clubs, tournament sponsors, the Dubai Sports Council, Dubai Tourism and Emirates Golf Federation. Falcon Golf is chaired by Peter Dawson, the former CEO and secretary of The Royal and Ancient Golf Club of St Andrews (The R&A). “Driving greater golf tourism is one of the key goals we set ourselves on our establishment, and I’m delighted that just a few months into our operations we have launched a website that for the first time provides one place where Dubai’s fantastic golf offering is showcased in full,” says Dawson. Golfing generated $131 million for Dubai’s economy in 2015, according to a study by Deloitte. Total gross expenditure on golf in Dubai is now valued at $270 million, a quarter of total sports expenditure, while the estimated economic impact of golf tourism in Dubai is $38 million, its research found. 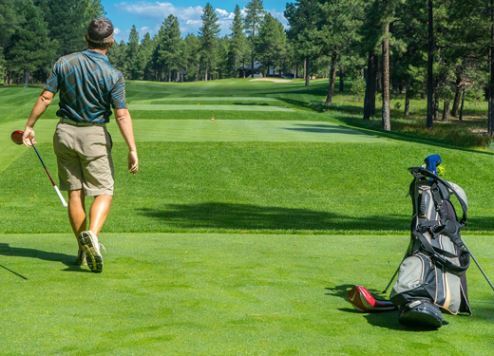 Golf’s contribution to the wider sporting sector is increasing each year and contributes more than 30 percent to sport’s total economic impact of $421 million, Deloitte says. While Dubai’s nine golf clubs and 11 courses are at the heart of the golf industry, with some 410,000 rounds played annually, almost two thirds ($80 million) of golf’s economic impact per annum is attributable to events, it adds. Saeed Hareb, secretary general of Dubai Sports Council, says Dubai has “long recognised the potential of both golf’s contribution to the sport economy and the platform it provides to tell our story to the world”. “With world-class facilities and courses, a number of professional golfers calling Dubai home, including Rory McIlroy and Rafael Cabrera Bello, as well as new courses coming to the market, we see a clear opportunity for future growth,” he adds. One of the latest golf courses to open in Dubai is the Trump International Golf Club. The facility features an 18-hole golf course, restaurants and luxury leisure facilities, and is located adjacent to Dubai Studio City and opposite Arabian Ranches.